Woodworkers often live a lonely existence in their hobby. 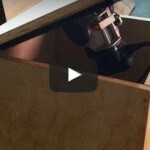 Puttering around in your woodworking area is, undoubtedly, a lot of fun for you. But doing it alone can be awful boring and frustrating. That’s why you should consider creating your own woodworkers social group. 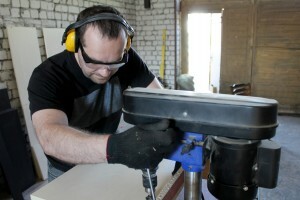 You may wonder: why in the heck would I want to form a woodworkers social group? Just think about all the possibilities it could offer you. For example, let’s say you get together once a week with a group of talented woodworkers and discuss cool new project building plans you’re considering implementing. A concentration of skilled and talented woodworkers would help introduce you to new ideas you’d never considered. Suddenly, you find yourself building a cool new table, as suggested by one of your fellow woodworkers. And the table sells like hotcakes at your next woodworker convention. Or consider the profit potential of getting together with your social group and working on projects as one group. Instead of scattering your various abilities and skills on random projects, you could be creating detailed and ambitious projects. Putting these items up for sale and splitting the profits is often a great way to make extra cash on the side. More importantly, woodworker social groups help add a little socialization to what can be a lonely hobby. 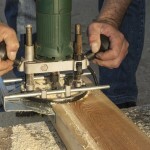 Getting together once a week, discussing breakthroughs in woodworking, new projects, or working together can add a little zest to your social life. It can even introduce you to new people you would never have met in the first place. What do you think? Are woodworker social groups a silly idea or something you’d like to try?